I’m not usually one for fads, you know the weird things often endorsed by some celebrity (remember Gwyneth and the whole vaginal steaming thing!? Yeah…no thanks!) that said I have fallen hook, line and sinker for coconut oil and especially oil pulling. 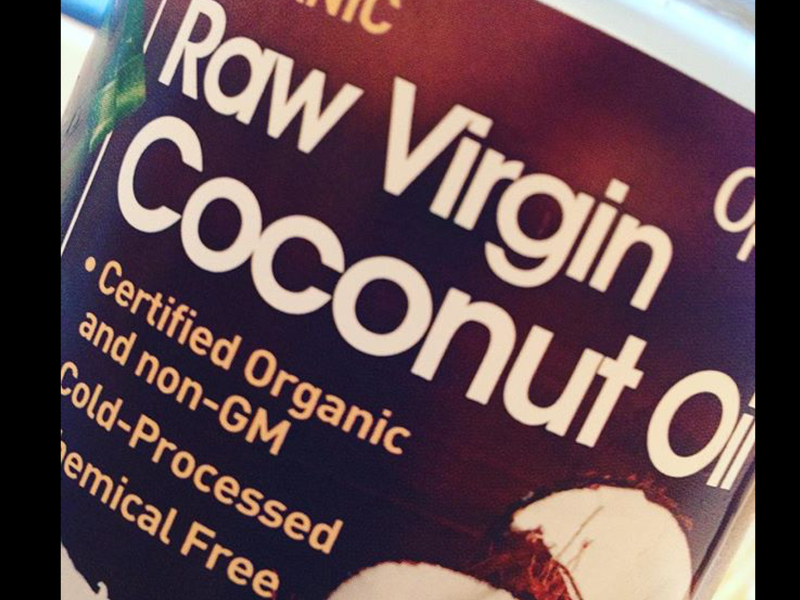 The reason being, it actually works…coconut oil has become the glue that holds me together. Keep reading for my top uses for coconut oil. 1) Oil pulling: this is the act of swishing oil around your mouth*. to draw out impurities and whiten teeth. I practice this once to twice a day depending on how much coffee I have soaked my molars in that day. I usually “pull” for 10-15 minutes at a time and then spit the oil into absorbent kitchen towel (spitting into drains could cause blockages). After a few days of doing this my teeth are noticeably whiter and I have achieved the same results as the chemical whitening I tried via my dentist at a fraction of the cost. I also don’t feel guilty about smothering organic oil into my gums…a thought I never truly got over when using chemical alternatives no matter how “safe”. I also swear that pulling twice a day when I’m suffering a skin breakout drastically reduces the time it takes for my skin to re-balance. As a woman of science I have no statistical data to prove this, just reduced consumption of concealer! *for those of you squeamish about this idea, you can add a few drops of spearmint extract to the mix for a minty flavour. 2) Eye make-up remover: just dip a cotton pad into the oil and wipe! That easy, no fighting, no residue. It also has the added bonus of conditioning your peepers overnight! Effective and efficient. 3) Hair mask: pop a plum sized amount through the ends of dry hair, cover with a single use shower cap and blast with a hairdryer for 5 minutes on its hottest setting. Then wash as normal. Alternatively, comb through and leave overnight for extra hydration and shine. 4) All over moisturiser: Pretty self explanatory. Just make sure you sit on an old towel and wait until fully absorbed before getting dressed ( a lesson learnt the hard way, RIP to my bed linen, I should have looked out for you and I let you down). 5) lip exfoliant: Put a pea-sized amount onto a soft toothbrush and rub in circular motions lightly. Voila…a pout that Kylie Jenner would aspire too. Softer and fuller thanks to the increased blood supply (albeit temporarily). Everyday I’m discovering more uses. I never thought I would agree with Gwyneth on anything, but she’s onto something.